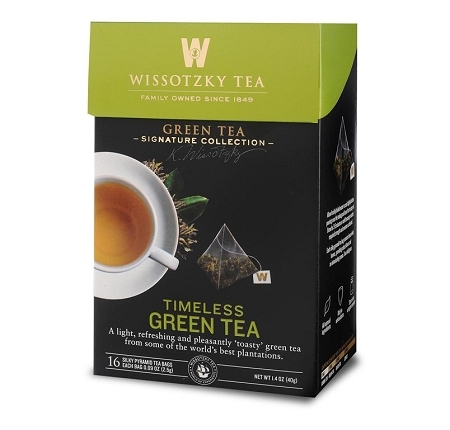 Wissotzky Tea Timeless Green Tea. Premium Chinese Green Tea. A light, refreshing and pleasantly ‘toasty’ green tea from some of the world’s best plantations. naturally beneficial antioxidants. Delightfully invigorating with a slightly toasty aroma. Perfect hot or iced. Each silk pyramid tea bag contains loose whole leaves and flowers,providing robust flavors and an intoxicating aroma.